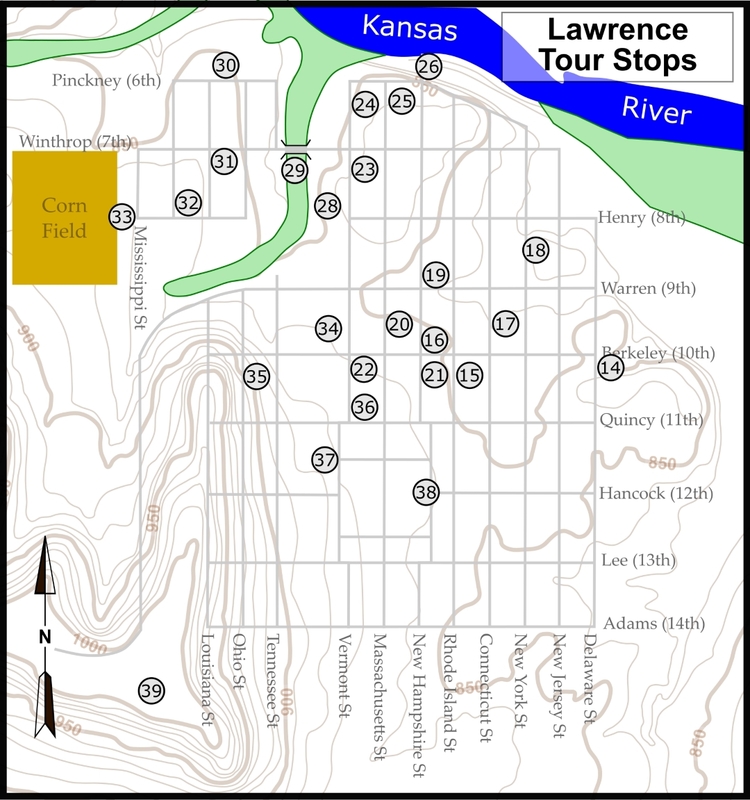 There was a camp in Lawrence for new recruits of the 2d Kansas Colored Infantry. 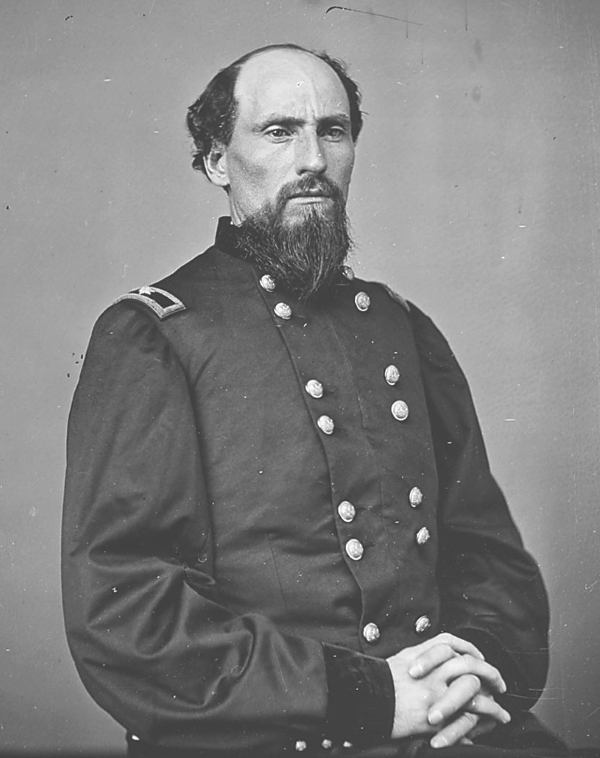 Col. Samuel J. Crawford was commander of the 2d Kansas Colored Infantry during the Camden Expedition (National Archives). 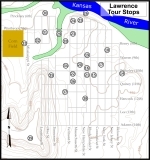 A detailed map of Lawrence showing location of the 2d Kansas Colored Infantry Camp tour stop. Click on thumbnail to load high resolution version of the map.